Text chatting represents a hybrid type of communication, where textual information is delivered following turn-taking dynamics, which characterize spoken interactions. It is interesting to understand whether special interactional behavior can emerge in chats, similarly as it does in face-to-face exchanges. In this work, we focus on the writing style of individuals, analyzing how it can be recognized given a portion of chat, and how personality comes into play in this scenario. 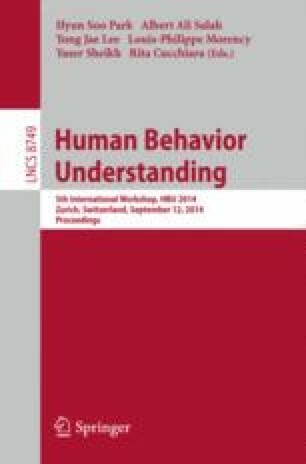 Two interesting facts do emerge: 1) some traits correlate significantly with some characteristics of people’s chatting style, captured by stylometric features; 2) some of such features are very effective in recognizing a person among a gallery of diverse individuals. This seems to suggest that some personality traits could lead people to chat with a particular style, which turns out to be very recognizable. For example, motor impulsiveness gives a significative (negative) correlation with the use of the suspension points (…), that is also one of the most discriminative characteristics in chats. This and other relations emerge on a dataset on 45 subjects, monitored for 3 months, whose personality traits have been analyzed through self-administered questionnaires. What turns out is that chatting seems to be more than just typing.